October was a good month. We enjoyed a bit of an Indian summer which happened to coincide with the time that one of my sisters chose to visit Paris for the first time. Leslie and I enjoyed showing her our favorite things in town. 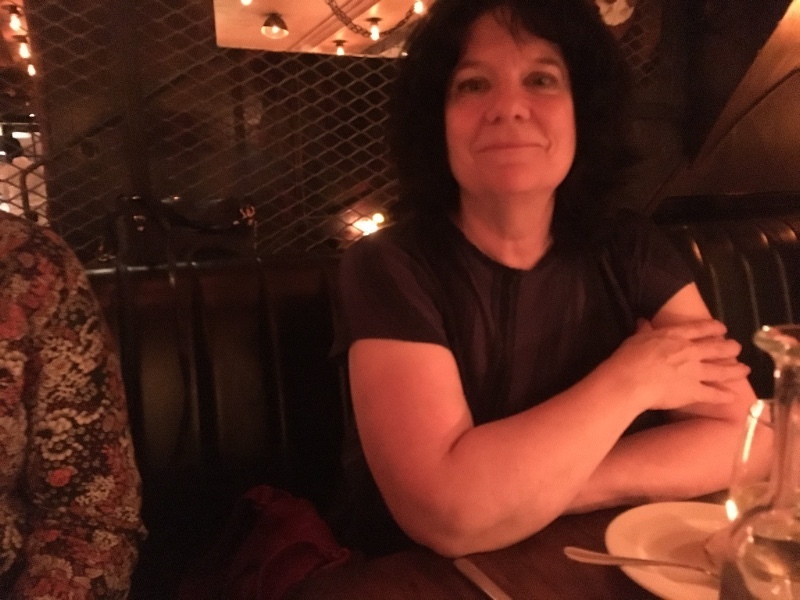 We introduced her to some of our Parisienne friends as we visited some jazz clubs, art galleries and restaurants. She was up for just about anything so we of course ended up being out way too late. 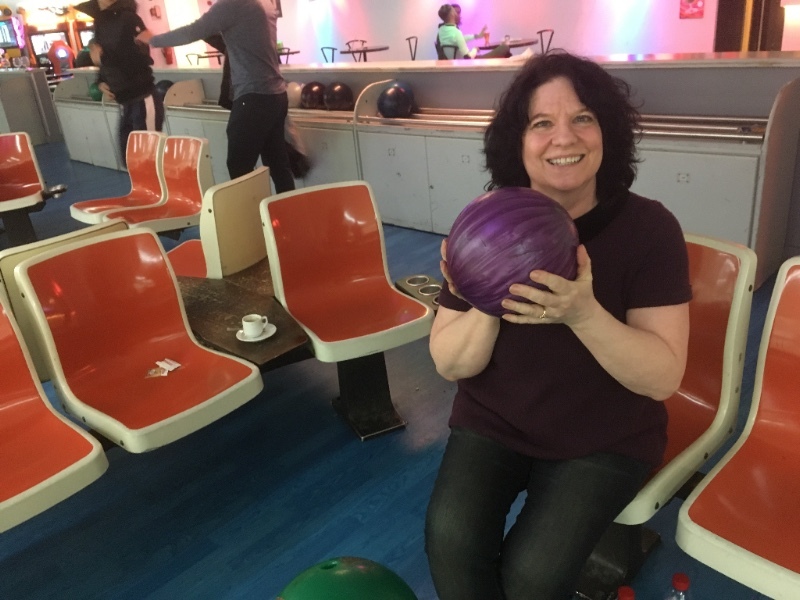 She even agreed to a night of bowling with our rag-tag barely organized team. I was sad to see her go, which was a sign that it was a good visit. Last month we also had a few gigs in venues that were new for us and were great fun to play. More and more we are getting opportunities to work with a quartet which offers a nice change from our normal duo and trio dates. 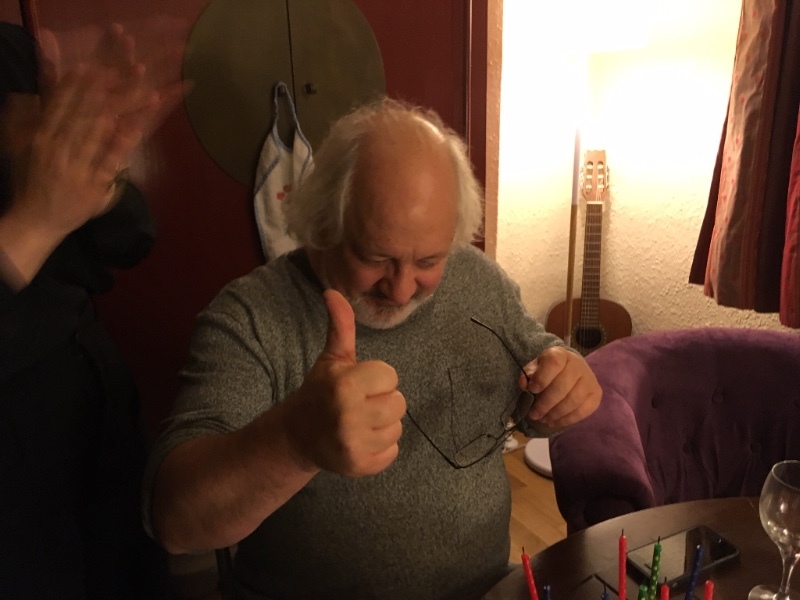 I like the clarity of the duo situation, that being said, the addition of bass and drums in a trio or quartet setting changes my role considerably and allows me to play differently. Plus the interaction between players and especially between Leslie and the band is way more complex as are the textural possibilities. So things here are moving forward in a nice groove. 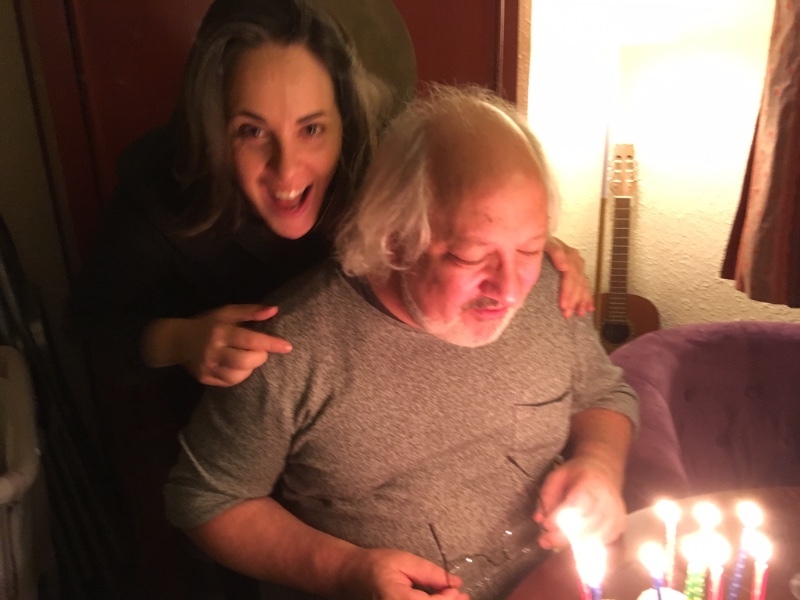 Celebrating my birthday with our friends Sara (pictured) Jules and Sacha. Krista, my sister, enjoying her first evening in Paris. 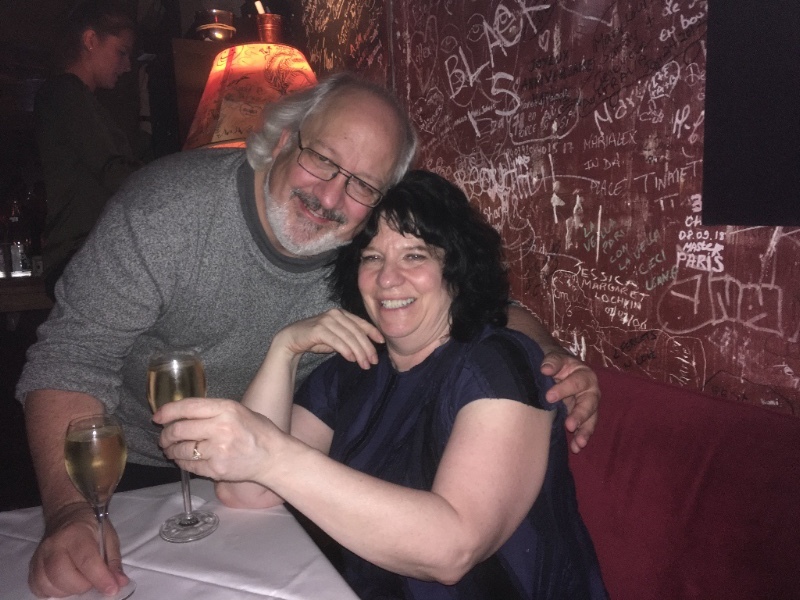 At Chez Papa Jazz Club in Paris. This one doesn't really need a caption does it! That Indian summer weather is long gone. We are well into fall and soon enough we will be staring at another winter. This year I have a plan to use the road trips we have coming up (Annecy, Lyon, Turin Italy, Minsk, and two weeks on the Mediterranean Sea in Greece, Italy and Malta) as a way to mentally break up the winter months in Paris which I find difficult at times. Also we are hoping to have a non-working get away to someplace warm for few days in February. 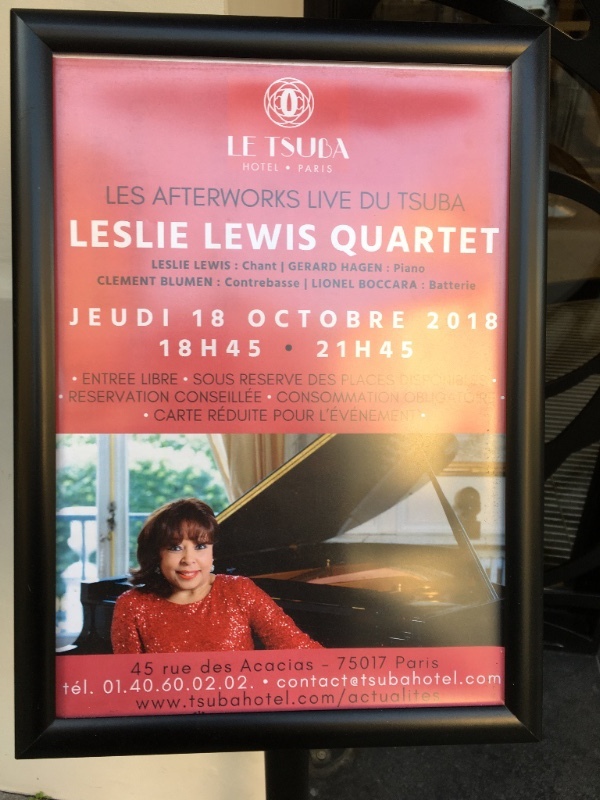 Poster for a very enjoyable concert at Le Tsuba Hôtel, Paris. 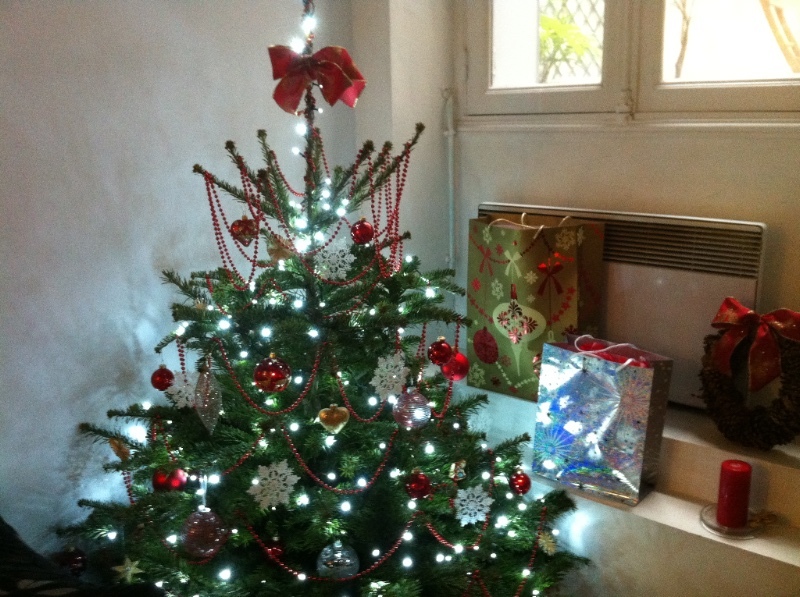 But before all of that there is always Christmas in Paris which is magical. Leslie loves the season and does a great job of decorating our home which brings me much joy. Buying the tree is something she really looks forward to, as do I, but for me mostly it's because she has so much fun searching out the tree. Since we are on foot, getting a tree back home is another challenge but also a part of the shared experience. We are on the road for a week in December and we will end the year with a six night run at the Café Laurent (Dec. 26th) and Chez Papa Jazz Club (Dec. 27-31). With the addition of the end of the year activities at the college and our regular gigs we won't have much time for Christmas celebrations. We have decided not to take any work on Christmas Eve or Christmas Day so that we can have (for us) a "normal", and hopefully quiet, holiday. 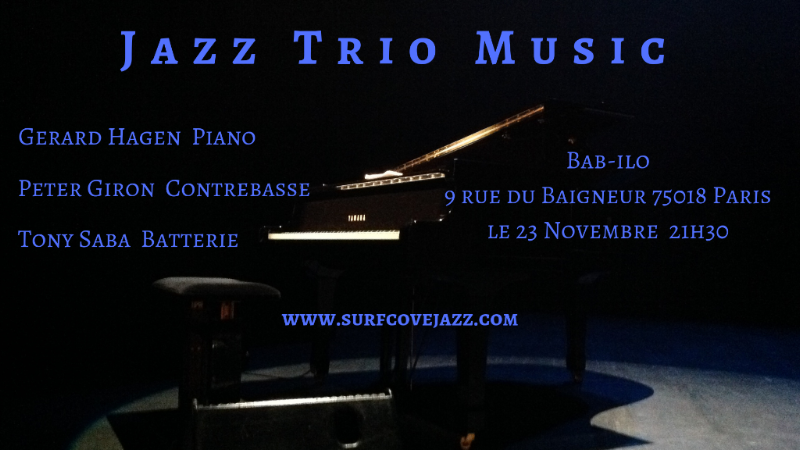 I have been rehearsing with a trio for a gig on November 23rd at Bab-ilo. It has been a good opportunity to play some instrumental music which I don't get to do very much since we moved to Europe. So if you are in Paris on that date please come out to hear our efforts toward creating some improvised jazz trio music. 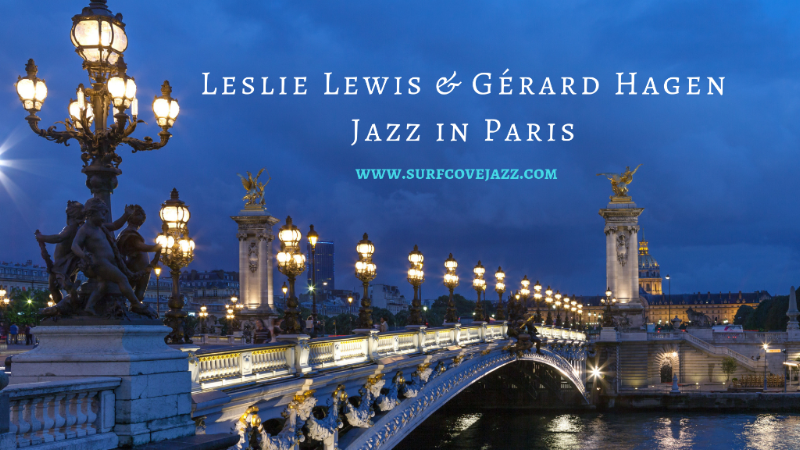 Leslie will be working with Philippe Martel's trio in Geneva, Switzerland that weekend. Here is our November schedule if you are in France.